Shoulder belt options for 2nd/3rd row bench seat? 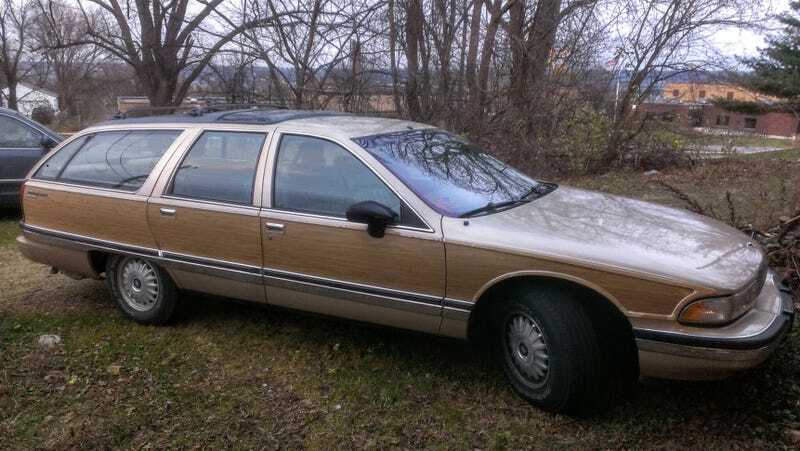 I have this lovely ‘94 Roadmaster Estate that I acquired a few months back. The goal here is to make this the family hauler (current family hauler is a ‘94 Grand Caravan with 206k on the clock and a transmission that will probably be crapping out soon). Here’s the issue: I have 3 children who will be turning 7, 4 and 4 this month. Currently, the 7-year-old is in a booster seat with a back. The twins are still in the toddler-type seats with 5-point harnesses, but they are outgrowing them. One of them can maybe last a little bit longer, but I’d prefer to switch them all out to booster seats soon. So the Roadmaster has a bench in the 2nd row, shoulder belts on the outside, lap belt on the inside. The rear-facing 3rd row has 2 lap belts. Ignoring the fact that I spent most of my childhood riding in the 3rd row of an 80's Caprice Estate with only a lap belt and I’m still alive, I would like to have shoulder belts on all seats if possible. Mounting should be relatively straightforward, as I’d be drilling one additional hole for each seating position (and those holes would not be going into the gas tank as I initially feared, so there’s that). Any thoughts? Any better options? Any reason why this is a dumb idea? Thanks!